thus following in the footsteps of Anne-Marie Javouhey. and Notre Dame Cathedral where we participated in a rosary procession on the Seine River on the Feast of the Assumption. 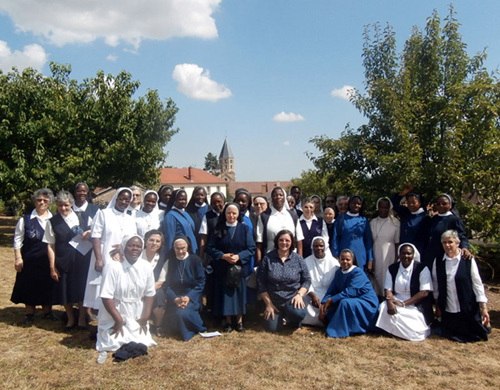 The group had the grace to be continually accompanied by Sister Matilde Faneca and Sister Verónica Tyimuma, General Councillors and on certain days of the pilgrimage, especially throughout the trip to the sources, by two priests Father George Auduc (French) and Father António Morais (Angola) who celebrated the Eucharist each day. 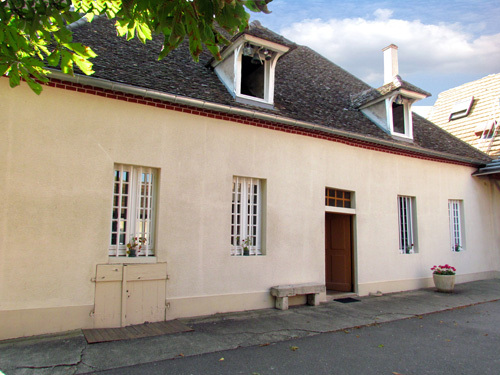 We also want to mention that we were grateful to Father Manuel, a Spiritian living in Paris, who often celebrated the Eucharist in Portuguese while we were in the Mother House. This was a special grace for us. After the pilgrimage to the sources, our retreat, directed by Father Joaquim Ganhão (diocesan priest of Santarém, Portugal) helped us to integrate what we had experienced through our visits and our prayer and in reality led us to a deeper realization of the charism we have been called to live. The retreat was a defining moment when we were called to an intimacy with the Lord, to know Him more deeply, leading us to a stronger commitment to the mission to which we have been sent. Following the retreat, Father Michel Luck, Spiritan, came to talk to us about the foundations of consecrated life based on the document "Keep Watch". These words were an enrichment for us and challenged us to reflect on our life of prayer, our community life and our mission. He made references to both Elijah and Moses. 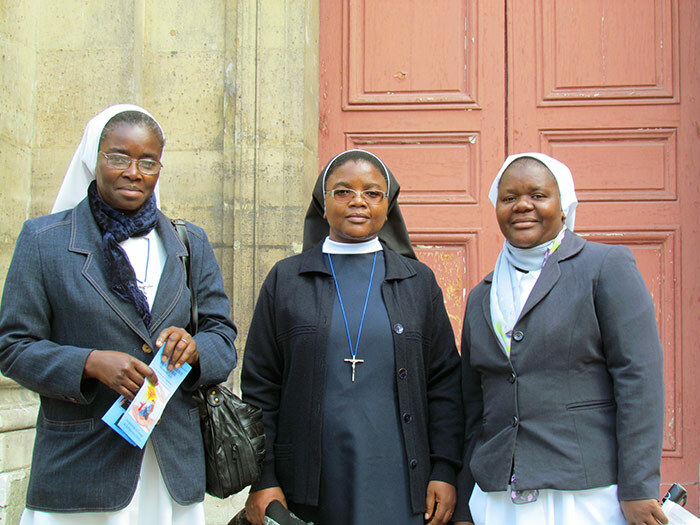 Indeed, religious life is a treasure, which our fragility carries, but it can do wonders because it is rooted in the Trinity. 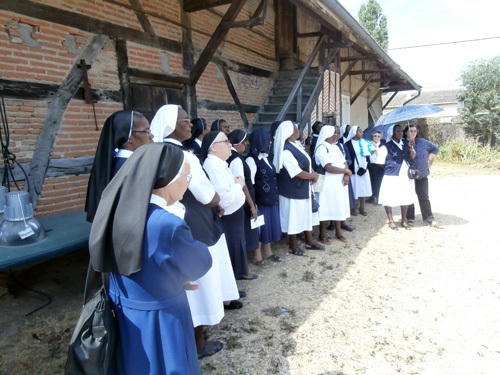 During the last days of our pilgrimage, directed by Sister Matilde Faneca, we remembered our past Superiors Generals. We felt a great joy in doing this work because it has given us a broader view of the history of the Congregation. 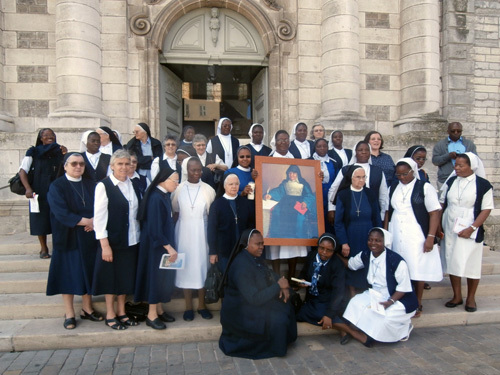 At the same time, we gave thanks to God for the gifts and qualities of the Sisters who have preceded us and are an example to us today who have the responsibility of keeping alive the charism by being creative and daring women like Anne-Marie Javouhey. 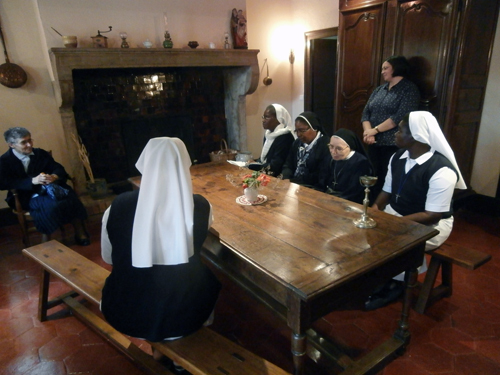 Our pilgrimage ended with a time of prayer during which Sister Claire Houareau, Superior General, invited us to be a light to the world and to follow in the footsteps of Anne-Marie Javouhey without fear. 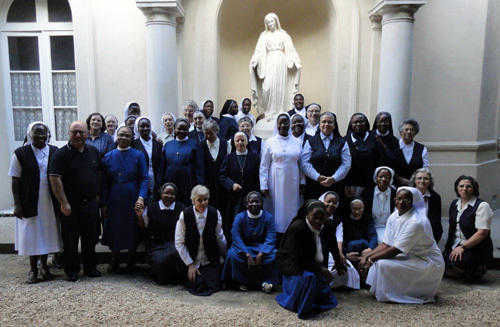 Everything mentioned above was only possible thanks to the loving care of the sisters of the Mother House community. They assisted us in every way with limitless dedication. 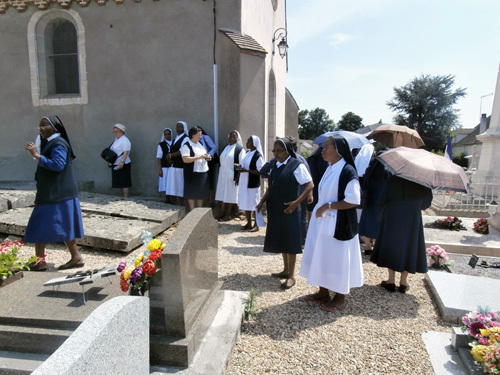 These words do not express the totality of what we have experienced and relished; above all, the grace of belonging to the family of this great missionary Anne-Marie Javouhey causing us to say: How happy we are to follow a path that has become a light which will never die! We will never forget what we have lived, what our hands have actually touched in experiencing the life and work left by Anne-Marie. We continuously thank God, the Mother House, our Provinces and our communities for this opportunity. Our sincere gratitude to all. 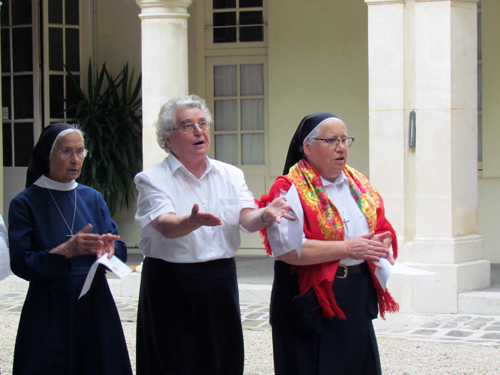 Our spiritual renewal continues and we are committed to remembering each day the great spiritual heritage left to us by Anne-Marie Javouhey.